Enjoy a stress-free transfer from your hotel in Phuket Town, Patong, Karon, or Kata Beach to Koh Tao. 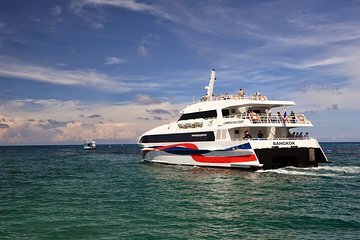 Travel by air-conditioned bus to Tapi Pier in Surat Thani, then board a high-speed catamaran. After a few short stops to let passengers off and on, proceed to Koh Tao where you’ll be dropped of at Mae Haad Pier.